43″ wide by 56″ tall. 20 gauge steel. Form folded by hand and heavy equipment, fire-pit annealed, hand polished. 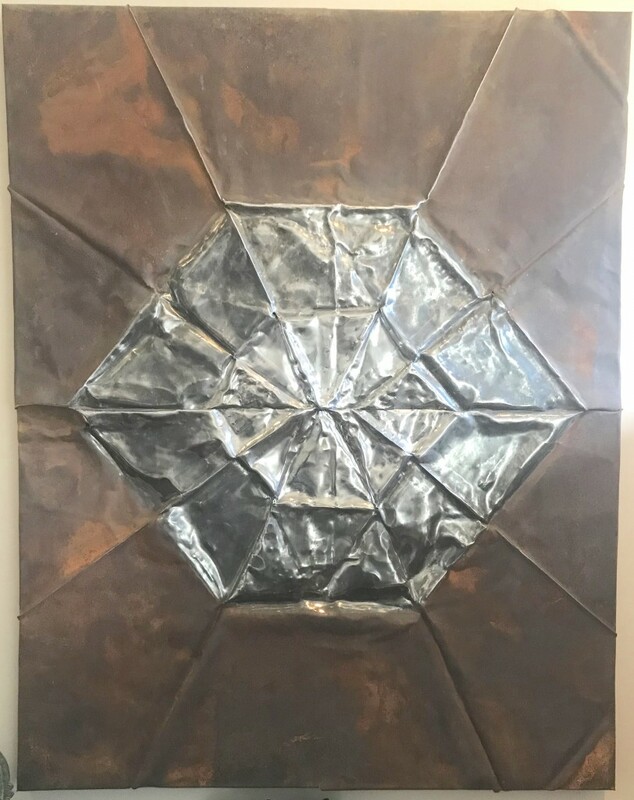 Sheet Steel, with controlled rusting and folds . Aleph-naught (aka aleph-null, aleph-zero) is the smallest infinite cardinal number.